Combined Cycle, Simple Cycle, Fossil Plants, Nuclear, Hydro, Renewable Energy? Yes we can help! Let TTS evaluate your facility and customize a program to improve your bottom line. Our people have an average of 23 years of experience in the power industry. Technology Transfer Services’ highly skilled staff will visit your facility to assess your organization’s needs and goals and tailor specific programs to support your facility requirements emphasizing a Return on Investment (ROI). TTS provides a vast range of training and technical services to the power industry across the country as well as world-wide. 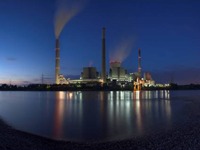 We have extensive experience delivering projects and services to Nuclear, Fossil, Hydro, Renewable energy and both simple and combined cycle Combustion Turbine units.